I hope you know that Windows key and E will open explorer. 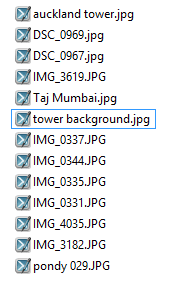 Windows offers various views so that we can see the files in different ways. Windows 7 have a View dropdown menu. The shortcuts were like Alt V D for Detail view and Alt V L for list view. These shortcuts do not work in Windows 8 as the menus have been replaced with Ribbon. 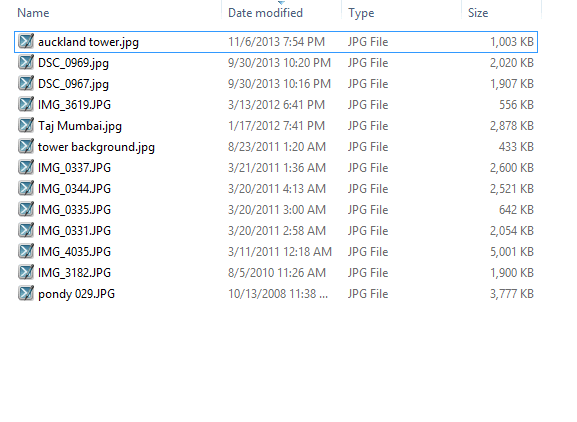 Open Windows Explorer in Windows 8, go to a folder containing lot of files and try these shortcuts. Shift Ctrl 1 to 8 and see how the views change. This view is useful for images and videos. Use this for choosing the right image when multiple similar images with minor variations exist. This shows more images in the available space and the detail is still visible. Still shows image thumbnails but no detail. Good for selecting images from a large collection. 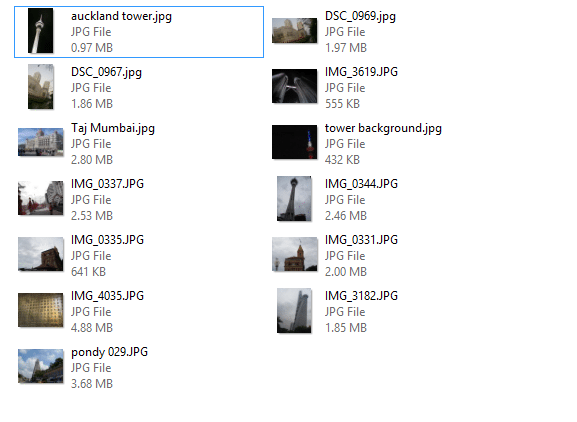 This view occupies less space per item so that you can see many more files in one view. 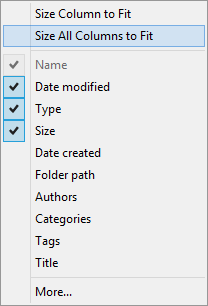 File names are shown in multiple columns. This view fits maximum number of files in available space. But it does not show any details about the file. The thumbnail is also not shown. It just shows the file icon. Good for quick search by name. Often the files are on the modified date. That sorting is not useful here. In fact it is confusing. 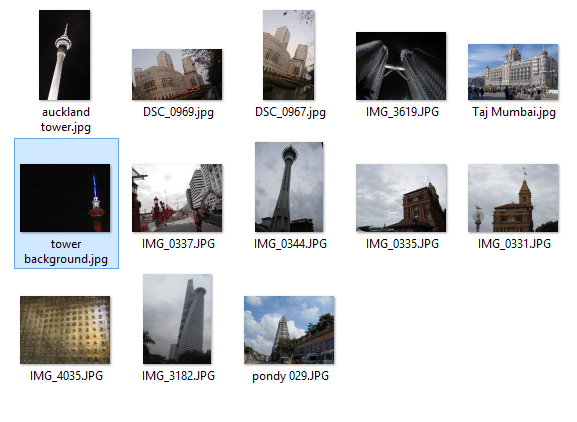 Sorting on filename is useful in this view. This view is similar to the small icons view, the only difference is that only one column is shown. I rarely use this view. For looking at and searching for files, this is a very nice view. This is one shortcut you should remember. Shift Ctrl 6 = Detail view. In detail view, you can add more useful columns by right clicking on the column header and choosing the additional columns(s) required. A more stylish view. Like the detail view – multicolumn – but shows thumbnails. Good for pictures – also shows some additional details. Shows one file per row. With additional Details. Depending upon the type of file, the Content view shows additional details. 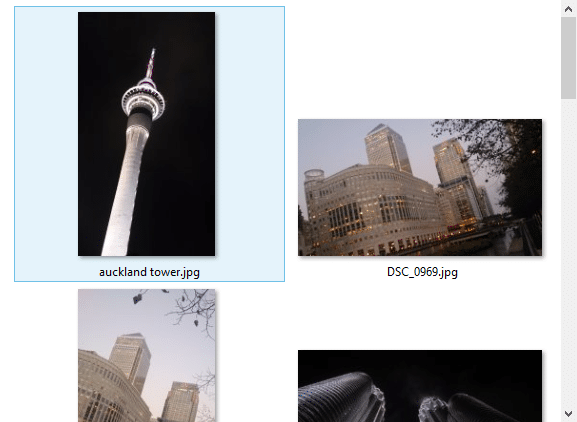 For example, here is the detail view for video files. While looking for files, maximize the explorer window so that you can see maximum number of files and maximum level of detail. We use Windows Explorer every day. But have you explored it ? Instead of me writing an article about every feature available there, why don’t you explore the explorer for few minutes – while this article is fresh in your mind?